CBF-AML accounts for approximately 30 percent of pediatric AML and 15 percent of adult cases. The researchers were able to obtain and sequence samples from 87 children and 78 adults and found a similar mutational landscape in both groups. Moreover, in 17 cases, whole genome sequences (WGS) were obtained, while whole-exome sequencing (WES) was carried out on the remaining 148 samples. Researchers have been cognizant for some time that two genes—RUNX1 and CBFB—can be affected by chromosomal rearrangements in AML. These genes encode for proteins that are part of the core-binding factor (CBF) complex, a transcriptional complex essential for normal blood cell development. CBF-AML arises by chromosomal rearrangements that impair the activity of the CBF complex. While patients with CBF-AML have a massive accumulation of abnormal cells known as myeloid blasts and an acute shortage of mature blood cells, these chromosomal rearrangements are not sufficient for the development of cancer. This phenomenon has prompted scientists to search for other mutations that can work together with the genetic rearrangements to cause leukemia. Interestingly, the researchers identified several mutations that may contribute as cooperating mutations, including changes in CCND2, a gene that makes a protein involved in the cell cycle. New recurrent mutations were also identified, including alterations in DHX15, which has a role in modifying certain types of RNA. Other genes identified that might contribute to CBF-AML included ASXL2, ZBTB7A, and MGA. “Some of the mutations, like ASXL2, are epigenetic regulators that modify the local state of chromatin. Others, like ZBTB7A, appear to act as tumor suppressors,” Dr. Klco said. Patients with CBF-AML have a relatively good prognosis. However, the disease recurs in some patients. 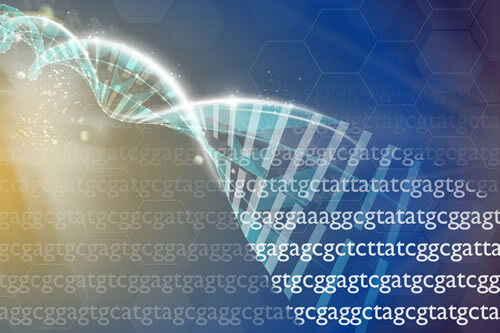 “In some cases, we were also able to look at the types of mutations in CBF-AML at diagnosis and relapse to understand how the disease changes over time, and we hope to build on this work moving forward,” Dr. Klco added.